True fear is often a signal that can save your life. Are you listening? The baby-sitter you've just hired makes you uneasy--what should you do? You sense you are being followed --do you confront the stranger...or run? A fired employee says "You'll be sorry"--should you take him seriously? A person in the elevator you are about to enter just doesn't look right--do you wait for the next car? A date won't take "no" for an answer. The new nanny gives a mother an uneasy feeling. A stranger in a deserted parking lot offers unsolicited help. The threat of violence surrounds us every day. But we can protect ourselves, by learning to trust--and act on--our gut instincts. 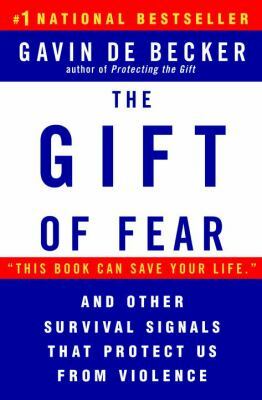 In this empowering book, Gavin de Becker, the man Oprah Winfrey calls the nation's leading expert on violent behavior, shows you how to spot even subtle signs of danger--before it's too late. Shattering the myth that most violent acts are unpredictable, de Becker, whose clients include top Hollywood stars and government agencies, offers specific ways to protect yourself and those you love, including...how to act when approached by a stranger...when you should fear someone close to you...what to do if you are being stalked...how to uncover the source of anonymous threats or phone calls...the biggest mistake you can make with a threatening person...and more. Learn to spot the danger signals others miss. It might just save your life.